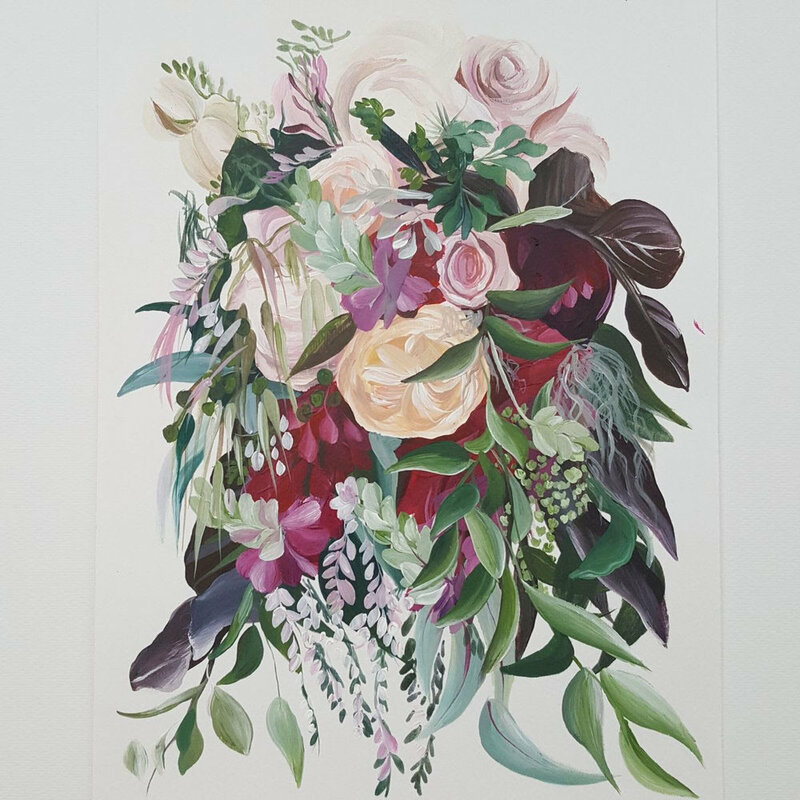 Each day this month I am painting a different brides bouquet exploring different colour palettes and floral arrangements. 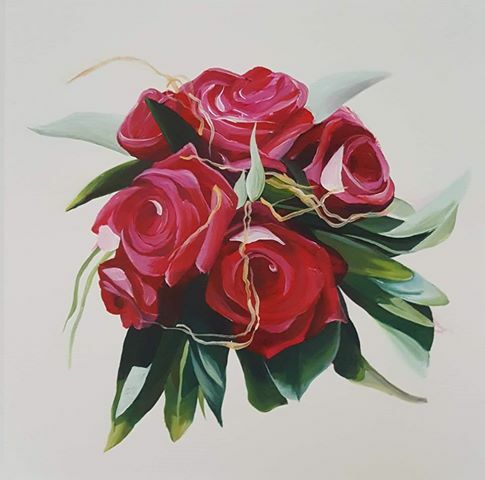 Already it is has gotten off to a great start with over a dozen brides sending me their bouquets to be painted. There's a wondeful range of bouquets from drapping, to round traditional, wild flowers and contemporary succulents and natural foliage. Here's a sample of some of the pieces I've worked on so far. There's definitely going to be a visual feast for your eyes this month as I post them daily on Facebook and Instragram at 9am (Melbourne time) and 11am (NZ time). All works are made available for public purchase after the bride has been given the opportunity first. Works are priced at $130AUD including free shipping within NZ and Australia. I still have a few spots available should you have a pic of a bridal bouquet from either your wedding or someone you know. Please email it to me at natalie@natalieparkerartist.comand I may just give it a go. 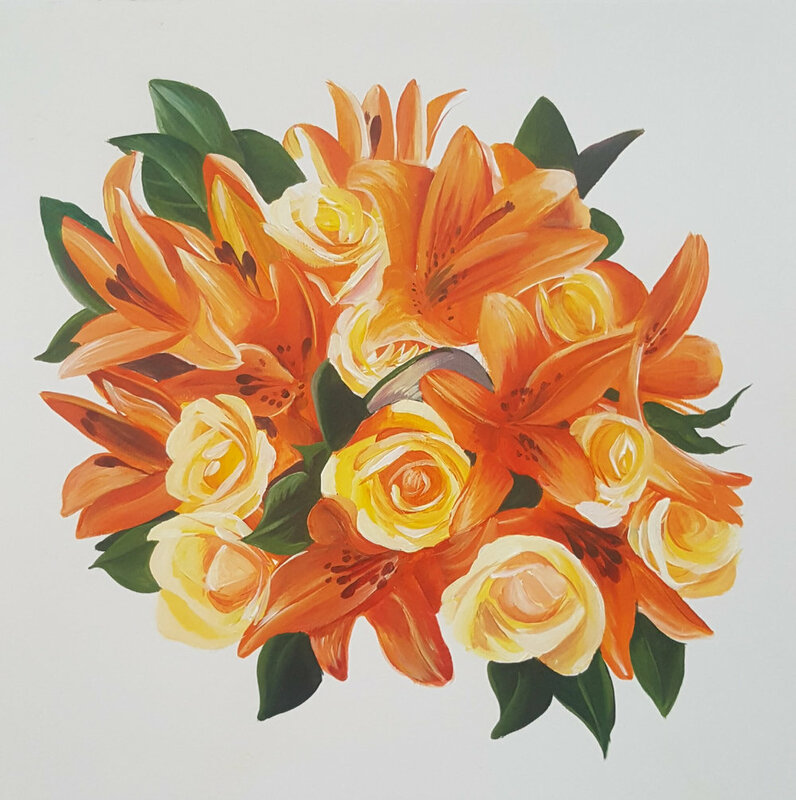 You are under no obligation to purchase the painting of your bouquet, if you like I can simply send you a photo of the work which you could then print off at your end.